SOG Desktop Sharpener | BUDK.com - Knives & Swords At The Lowest Prices! 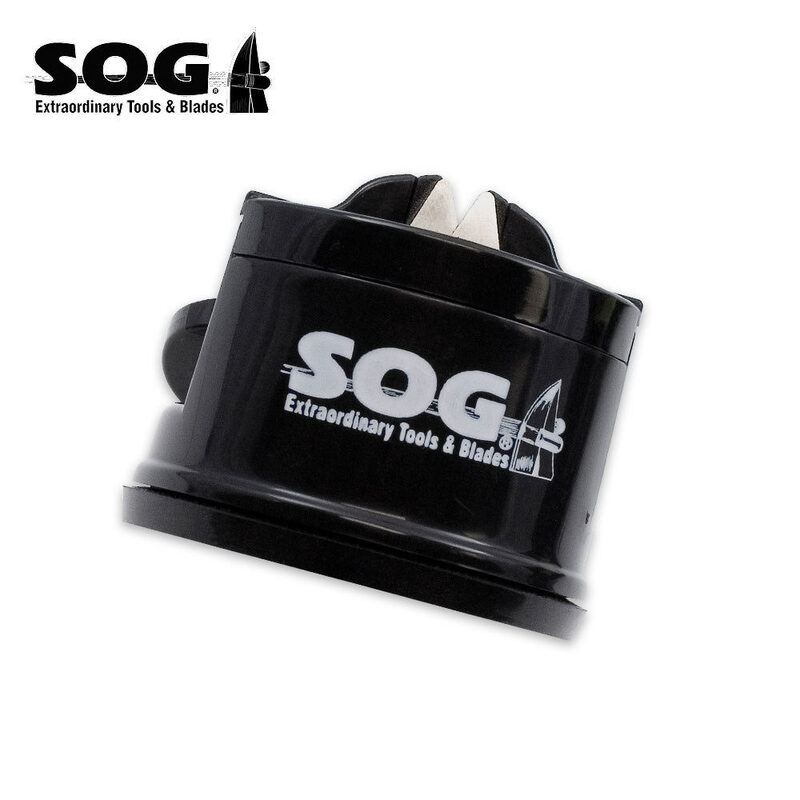 Take the hassle out of knife sharpening with this easy to use SOG Desktop knife sharpener. Simply set up the sharpener on any flat non-porous surface, clamp the suction pad down, and pull the knife through the sharpening groove for a razor sharp edge. I grout this sharpener for my katana and it is absolutely perfect I love it, I recommend this sharpener for any one who wants a razor sharp blade that can cut threw almost any thing i used this for my axe, knifes and swords it works for anything and the suction cap sticks to the floor amazingly!!!!!!!!!! !